June is a great month to get closer to our Lord. It’s dedicated to the Sacred Heart of Jesus! 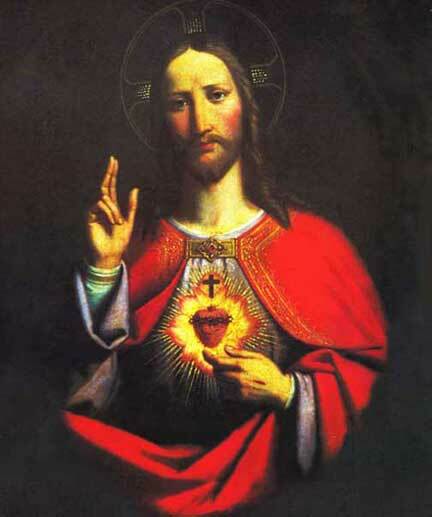 And June 12th marks the feast day of His Most Sacred Heart. In honoring His Sacred Heart we acknowledge just how much He loves each and every one of us. 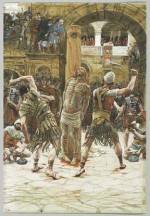 Indeed, He loved you enough to die for you on the Cross at Calvary! Jesus clearly thinks of the heart as being a driving force, if not the driving force, of our will and our capacity to love Him and each other. There are numerous references in the Gospels to Jesus' seeing the heart as the true mirror of the soul, the x-ray of our intentions, as it were. As He states in the Sermon on the Mount “where thy treasure is, there will thy heart be” (Matt 6:21). Jesus scolds the Pharisees and scribes at one point, quoting from the Prophet Isaiah that “This people honors me with their lips but their hearts are far from me” (Mark 7:7). He further explains to his disciples that “out of the heart of men come evil thoughts, adulteries, immorality, murders, thefts, covetousness, wickedness, deceit, shamelessness, jealousy, blasphemy, pride, foolishness” (Mark 7:7:21-22). This is not to say that Christ regards the heart as a malevolent force, however. Far from it! As he states in the Beatitudes “Blessed are the clean of heart: for they shall see God” (Matt 5:8). And what does He quote from the book of Deuteronomy (Dt 6:4-5), when asked by one of the scribes as to which was the first of all of the Commandments? “Thou shalt love the Lord thy God with thy whole heart, and with thy whole soul, and with thy whole mind, and with thy whole strength ” (Mark 12:30). Thus, we can see it as being quite fitting that Jesus sought to have a special feast day established to His Sacred Heart as part of a devotion still observed among the faithful today. 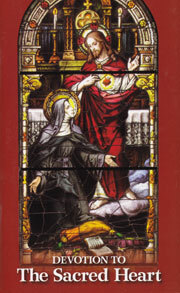 He conveyed His wishes to a French nun, St. Margaret Mary Alacoque (1647-1690), in a number of visions from 1673-75. Jesus showed her His Sacred Heart on fire for love of us, in a manner similar to the representation shown above, with a cross and thorns reminding us of His Passion and His great love being unrequited by much of humanity. Jesus also asked for us to receive Communion on the First Friday of each month and for a Holy Hour for His Sacred Heart. After some initial resistance, this devotion took hold, with great help from St. Margaret Mary’s confessor St. Claude de la Colombière, S.J. The main components of the Sacred Heart Devotion today are adoration for our Lord and reparation for the insults and negligence He has received from so many of us He died to save! Jesus values this so much that he revealed to St. Margaret Mary 12 great promises (expanding on the one mentioned above) to those who practiced it. 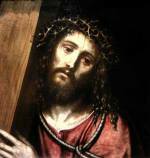 Jesus' attitude in the church-approved private revelations to St. Margaret Mary is very much in line with His feelings as reflected in the Gospels. 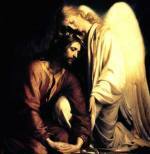 While our Lord is indeed meek and humble of heart (Matt 11:29) he is no indifferent milquetoast! We see Christ's passion (no pun intended) for humanity in a number of places in scripture. He states at one point that He has come to set the world on fire and wishes that it were already blazing (Luke 12:49). This imagery fits right in with that of His Sacred Heart being on fire with love for us, doesn't it? When He is asked by Peter if seven times is enough to forgive someone, Jesus answers not seven but seventy times seven (Matt 18:21)! We see His sense of love and protection for children when he remarks that "whoever causes one of these little ones who believe in me to sin, it would be better for him to have a great millstone hung around his neck and for him to be drowned in the depths of the sea" (Matt 18:6). Our Lord loves each of us with an intensity only He can give! Sadly, in a world steeped in sin, many people can't see this and feel He is either hostile, indifferent or, worse, non-existent. How can a loving God permit so much evil and misery? Some of our greatest writers and theologians have grappled with this question for centuries. This essay can help shed some light on the subject as well as this one. While Christ's love for us is immense, He has given us free will to accept or reject Him, so that it is not coerced. He took on human form to take on Humanity's sins and offer an expiation for them that only He as God could give us! In so doing He also took on our suffering. All you need to do is look at a Crucifix for proof of this. He loves us enough to try to draw good out of evil whenever possible, as in His Passion leading to His Resurrection. As Jesus said in the Parable of the Sheep and the Goats (Matt 25:31-46), whatever we've done for or to each other we've done for or to Him! Remember also what He said to St. Paul before the Apostle's conversion when he was persecuting Christians (Acts 9:4) "Saul, Saul why are you persecuting Me?" So on the Sacred Heart feast day, and sometime during this month of June (and beyond!) take some time, even if it's just a few moments, to meditate on Christ's burning love for you, perhaps in front of the Blessed Sacrament! St. Alphonsus Liguori once said "How pleasing to the Heart of Jesus are those who visit Him often, and who love to keep Him company in the churches where He dwells in His Sacrament." You might want to put a picture of our Lord with His Sacred Heart such as the one above somewhere special in your home. I find the image above to be very comforting in times of stress. If you're feeling particularly anxious or troubled or even worthless in this crazy world, imagine the warmth and light of Jesus' Sacred Heart on fire for your love! Think of it as a light in the darkness, if you will. Let our Lord give you encouragement to love Him more, and to share His love with others. That way they can see Jesus working through you! As St. Margaret Mary once wrote "Should you find yourself overwhelmed by fear, cast yourself into the abyss of the unshaken confidence of the Sacred Heart, and there your fear will give place to love. If you find yourself frail and weak, lapsing into faults at every moment, go to the Sacred Heart and draw from It the strength that will invigorate and revive you." And remember, in spite of all the trials and tribulations these days, God is still in charge. As we pray in the Nicene Creed at Mass "He [Jesus] will come again in Glory to judge the living and the dead, and his kingdom will have no end". And considering His commandments are laws of love, you're not just on the winning side in the battle against sin and Satan, you're on the loving side as well!